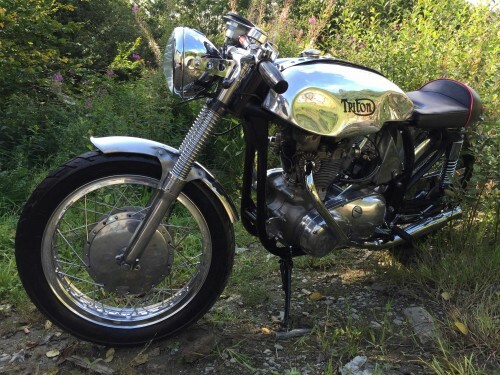 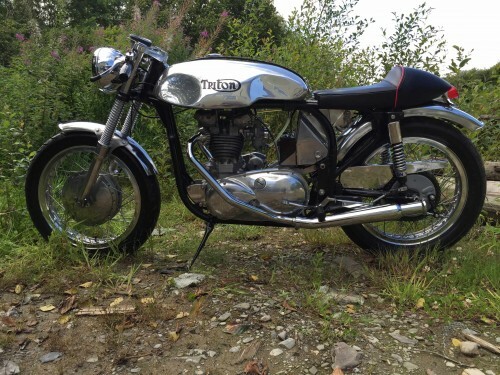 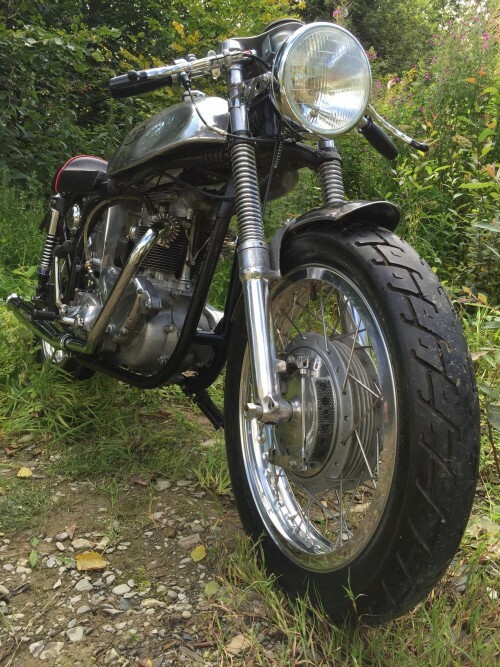 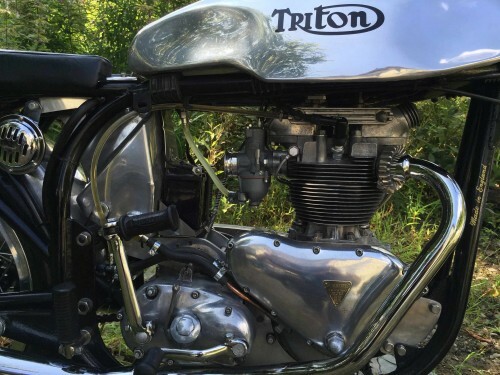 This Triton has been professionally built from the ground up using a 1964 Norton 650SS Featherbed frame as a base, the lump is an alloy barrelled 500cc T100 engine that has been stripped and completely rebuilt, new bearings, balanced crank, new valves and guides new high comp pistons and rings, new morgo oil pump, new electronic ignition, new twin carb set up with racing manifold, new air filters, new rubbers throughout, new clutch, new alternator and rotor fitted, new primary, high lift cams, new wiring loom made to suit, new battery, new coil, new ignition, new tab 2 classic alloy oil and petrol tank, new tyres, new brakes, new bearings, refurbished gearbox, new chain and sprockets, new Tomaselli handlebars and levers, new cables throughout, new fuel system, new Hagon shocks, new Hagon rims, rebuilt wheels, rebuilt roadholder forks with new outer springs, new seat, new speedo and bracket, stainless steel front and rear mudguards, stainless steel highly polished tank strap, new swept back exhausts and tulip silencers (sounds lovely), new front and rear light, new stainless battery box and a multitude of new fasteners throughout the bike. 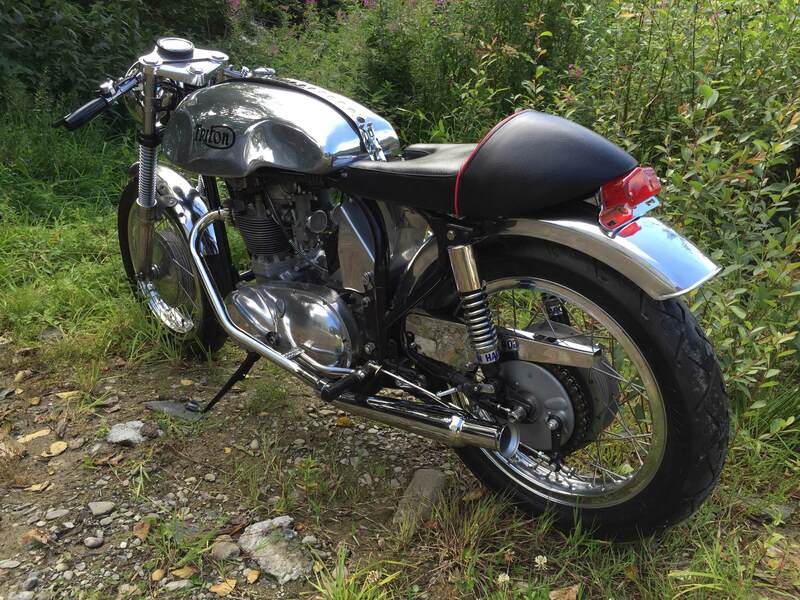 You can see from the pictures the amount of time and money that has been spent on this bike, she’s only going to go up in value and not down! 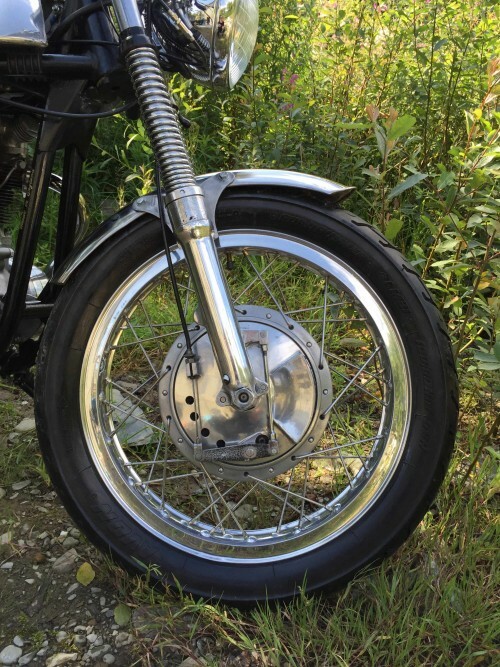 Much better than putting money in the bank, classic bikes get a much much better return on your money.